Choosing the best solar panel is not simply a matter of getting the most watts for the cheapest price. Even if we could assume that all manufacturers produce equipment of equal quality, the old adage of “For every job, there is a tool” holds true. What works best in one situation is not often the best choice in another. In this post, I will review the most common solar technologies, how to identify them, and how best to use them. 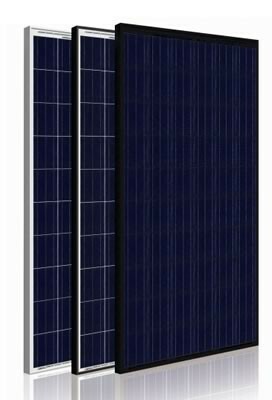 These are the most light sensitive panels, and so produce the most overall power per day (ie a 10W thin film panel will always produce more power than a 10W crystalline panel by virtue of the fact that the thin film panel will ‘turn on’ earlier in the day, and ‘turn off’ later in the afternoon. They do not need direct sunlight, and so are the best choice for overcast, partial shade, & high latitude destinations. However they are the least efficient of the major types, and so have the largest surface area per watt. In small format, these are the solar cells used on calculators and other consumer electronics. In large format, panels made from these cells are exceptionally good at producing power in less than ideal light conditions. Kayakers, mountaineers, Canadians in northern latitudes, and anyone who may experience poor weather will want to consider these panels first. They are easily built into lightweight, flexible products that make them ideal for portable applications. Although a few manufacturers produce framed thin film panels, their lower efficiency makes framed crystalline panels often a better investment in all but the most marginal weather or geography. These are the most efficient cell types. 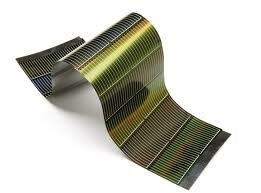 Typically twice as efficient as thin film, which means that they will produce the most power per square meter. This is why they are the choice for large format panels used in residential & commercial applications. However, they perform best in direct sunlight. Due to their cell fragility, they are backed with rigid materials which makes them heavier than thin film panels. Pocket chargers that are the size of the palm of your hand usually use crystalline cells so that they can print larger output numbers on their spec sheets. However, these panels will only produce approx 0.5 Watts, and only in full sun. They do not work through windows! The result is that these products rely on their internal battery packs to back-up your phone power, and the solar panel is really only for show. To charge a modern smartphone at the level of a full phone battery per day, you will need approx 3 Watts of solar power, and have it exposed to sunlight for most of the peak hours of the day (10am-3pm). Again, thin film will be a larger panel, but will give you more reliable performance, and will charge better in the questionable weather of the shoulder seasons. USB output, preferably with the proven Apple connectivity, is all you need. Use a USB solar storage battery between the panel & phone if you don’t want your phone connected to the panel all day, or have other equipment to charge. GoPro Hero cams and other brands operate from USB, so these work well with solar. Although the batteries can be charged inside the camera, most people find that connecting the charger base to the USB solar panel works best… one battery in the camera, one on deck, and one in the charger. Keeping up with a single GoPro battery per day will require 2-3 Watts of solar. dSLR cameras come in a variety of formats, with some using 3.7V lithium battery packs, and others using 7.4V packs. 5V USB chargers are typically used for the 3.7V packs, while the 7.4V packs required 12V systems. However, recently products have been released by Ansmann and others that allow 7.4V packs to also be recharged efficiently via USB sources. As a result, camera users can now use smaller, less expensive USB solar chargers to keep their camera batteries charged. Small camera battery packs in the 6-10WHr range (ie 3.7V 1200mAHr) can be offset in a single day by solar panels in the 3W range. Larger dSLR battery packs, like the Canon LP-E6 & Nikon EN-EL3, will require solar panels in the 5-7W range to offset in a single day. This technology is changing rapidly, and I will be publishing separate blog posts on each drone we are asked about. But essentially, you will want to use a 12V system (as if you would charge your drone from a vehicle power socket). The biggest issue is the power requirements. Drones like the Phantom 4 have flight batteries in the 80WHr range, which would require solar panels in the 20-30W range to recharge. Need 2 flight batteries per day would therefore require 40-60W of solar to offset. If you have good summer sun, look to crystalline panels (folding if you need to pack it to remote places). If you have questionable weather, high latitudes, or awkward terrain, then look to thin film panels. Using a solar storage battery to help you manage & deliver power to your drone charger is essential. Doubtful that any charger would perform properly when connected directly to a solar panel. Budget your flight batteries, and look for a solar storage battery that is 2-3 times the capacity of your daily flight battery needs. Solar charging a laptop typically requires a solar panel in the 30-50W range to offset a single laptop battery in a single day. Only need an hour or two per day? Then something in the 10-20W range will suffice. However, delivering the power to your laptop is the more involved aspect of the solar power kit. If you don’t mind wasting 30% of your power, or the additional equipment or cost, or the additional weight, then storing your solar power in any battery pack that supports an AC inverter will do. For example, if you don’t want to fuss with finding a battery that has the 19V output your laptop wants, then plugging into an AC inverter makes sense. We see this with some medical equipment where a DC power option is simply not available. Most universal lithium battery packs will provide a 19V common laptop output voltage, and most offer a variety of connectors to fit most common laptop brands. Contact us if you are having trouble finding the best match for your laptop. Need more power than a small battery system can provide? Packable SLA battery packs are your next best option. Camping with a CPAP machine has become a common question over the past several years. Some machines are more portable and efficient than others, and then there are the specific pump & humidity settings for each client which can vary the power requirements significantly. 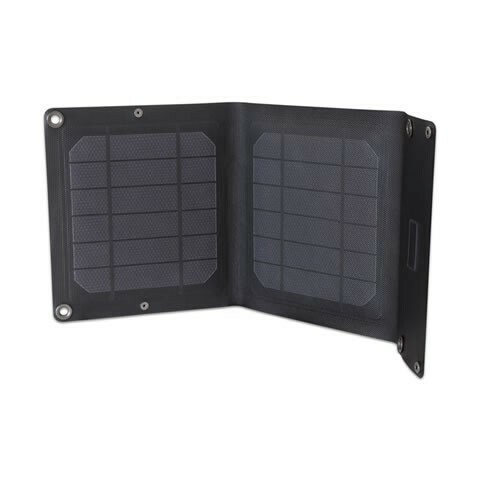 However, in general terms, a 30-50W solar panel connected to a 100-200 Watt-Hour solar battery addresses most system needs. If your CPAP machine has its own battery pack (on-board or as an option), we recommend using it. Having a 12V car adaptor for your CPAP makes solar design much simpler, as does having a built-in CPAP battery pack that can cover at least 1 night’s power needs. Check with your CPAP dealer or manufacturer for optional accessories. Need help choosing solar equipment?